Calling all trailblazers and nature lovers! 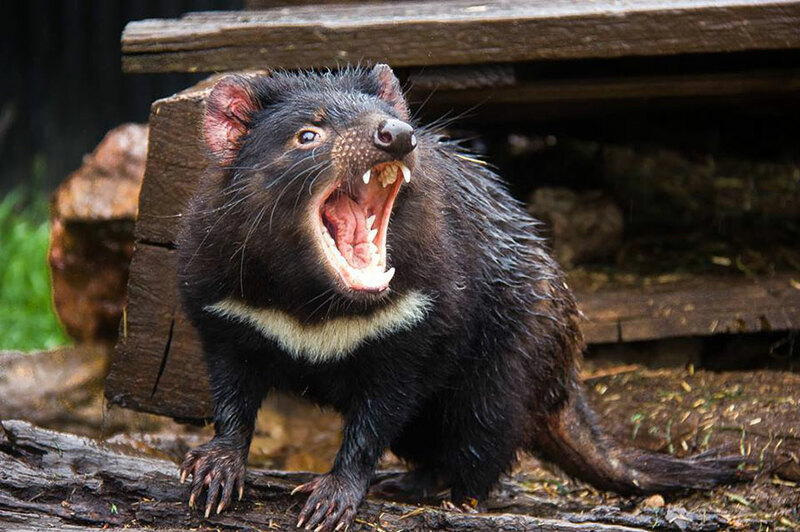 Discover remote Tasmanian wilderness and see iconic Australian wildlife in the wild. 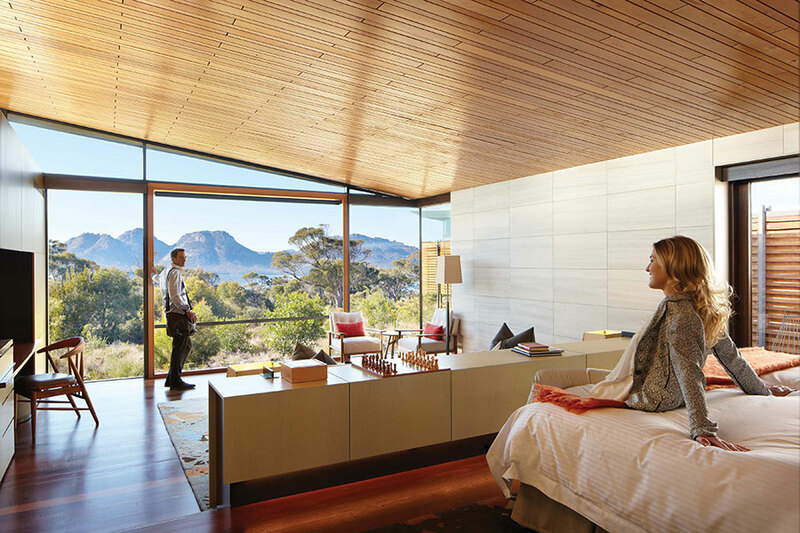 Add a touch of luxury with spectacular, all-inclusive lodges and the finest food and wine Tasmania has to offer. This Tasmania, Australia Vacation was planned for a couple from Phoenix who were quite active and had been to Australia several times. This time, they wanted to explore the remote wilderness of Tasmania—an island known for ruggedly beautiful scenery, abundant wildlife, and delicious food and wine. 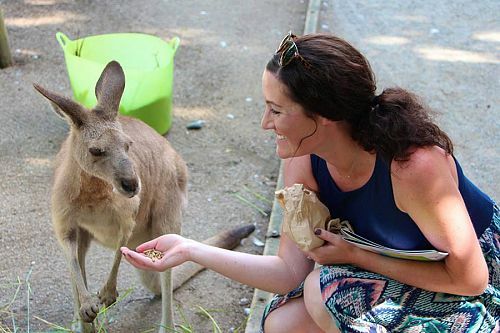 This trip gave them up-close encounters with Australian wildlife and wilderness, without sacrificing creature comforts. They started their Tasmania, Australia Vacation in style with a helicopter transfer from the airport to their swanky pavilion. They enjoyed VIP access to 2 of Hobart’s top attractions: the Museum of Old and New Art (MONA) and Moorilla Estate winery. 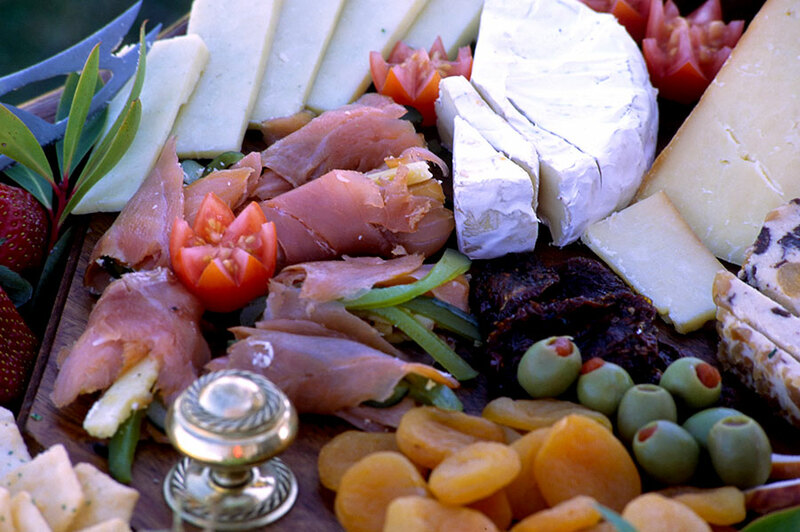 They were able to visit the museum as often as they wished for a full day, indulge in a gourmet lunch with Moorilla wines, and get a behind-the-scenes look at Moorilla’s winery and vineyards. Their Tasmania, Australia Vacation continued with a fabulous 4-day/3-night Maria Island Walk. 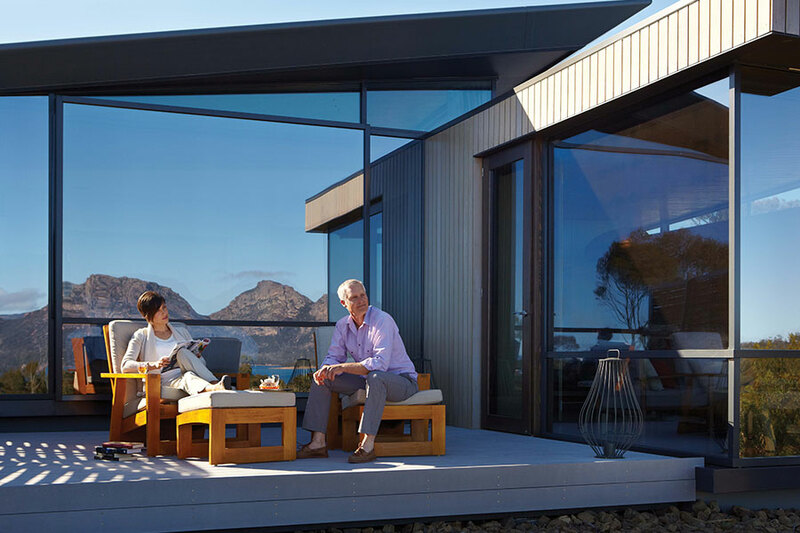 They were able to explore the remote wilderness of this stunning island and venture onto white sand beaches that were seemingly untouched—but they also enjoyed a touch of luxury with comfortable lodgings and Tasmania’s finest food and wine. Next for their Tasmania, Australia Vacation, they spent 2 nights in the breathtaking Freycinet National Park. 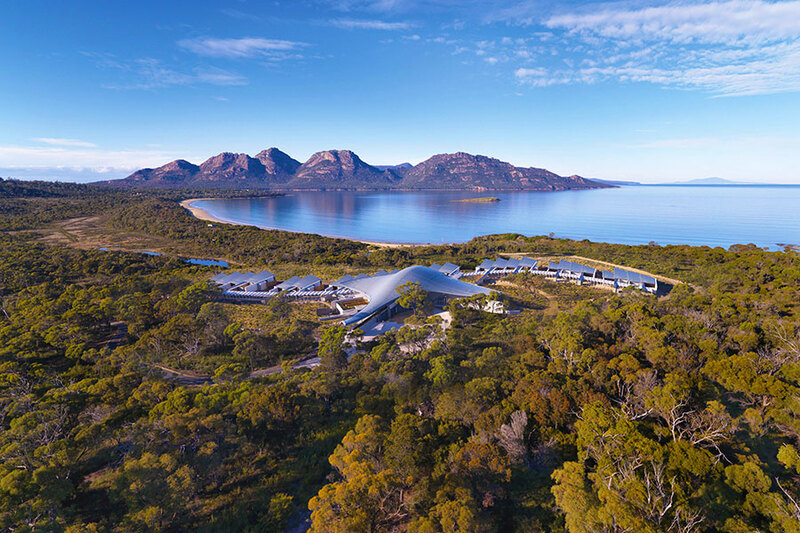 They stayed at Saffire Freycinet, a luxury lodge that truly exceeds all expectations. From here, they enjoyed a private transfer to Launceston to begin a multi-day wildlife and wilderness adventure with our mates at Pepper Bush Adventures. 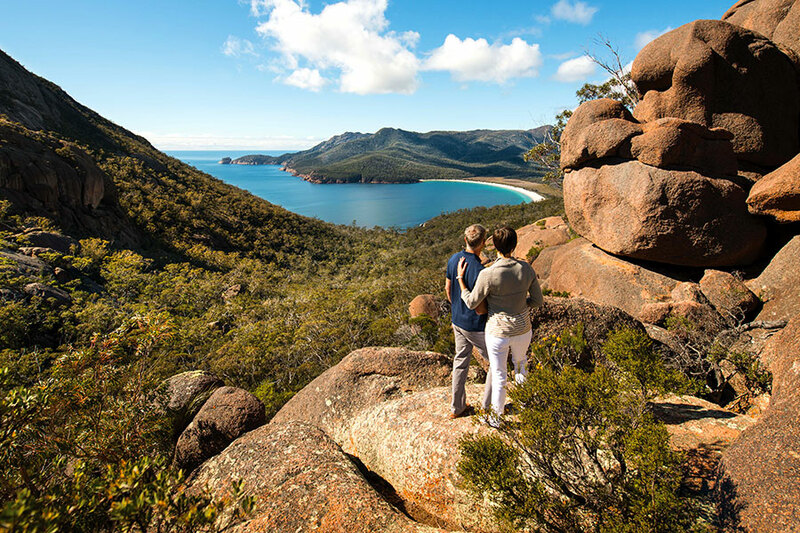 With the help of a friendly naturalist guide, they explored some of Tasmania’s most rugged, remote, and secluded regions, far off the beaten path, and were rewarded with spectacular views and exceptional wildlife encounters. At last, their Tasmania, Australia Vacation came to an end, and they were transferred to the airport to begin their journey home. Though they had been to Australia many times before, they saw a whole new side of the country on this trip, and they decided Tasmania was their new favorite place in Australia! Welcome to Tasmania! Begin your trip in style with VIP access to 2 of Hobart’s top attractions: the Museum of Old and New Art (MONA) and Moorilla Estate winery. 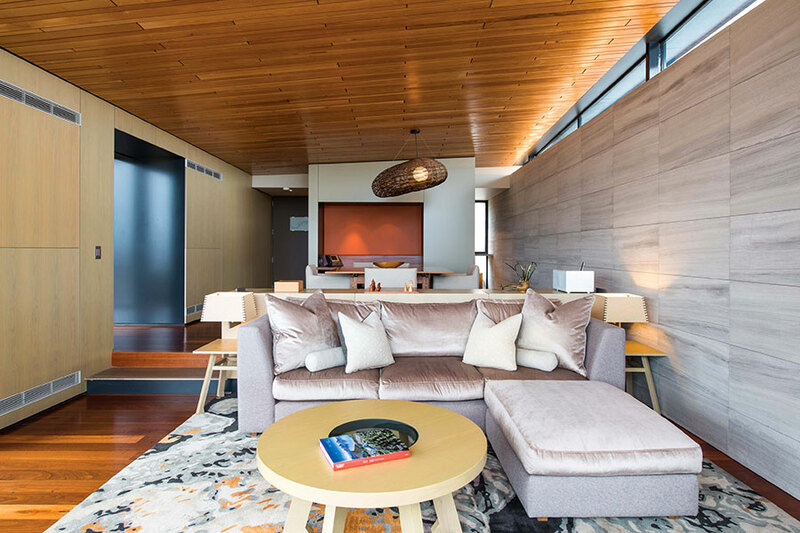 Upon arrival in Hobart, you’ll be whisked away in a chopper flying over the waterfront, taking in views of the mountain and river from afar, before landing just outside your fabulous 3-story, 2-bedroom pavilion. Have a hosted introduction to the MONA and its grounds, and feel free to visit the museum as often as you wish. When you’re ready to take a break from the art, enjoy a 3-course lunch at The Source Restaurant, complete with matched wines from Moorilla’s benchmark series with stellar views of the River Derwent. After lunch, you’ll be met by one of the winemakers and taken on a private, behind-the-scenes tour of the Moorilla winery and vineyard, including the underground Barrel Room. 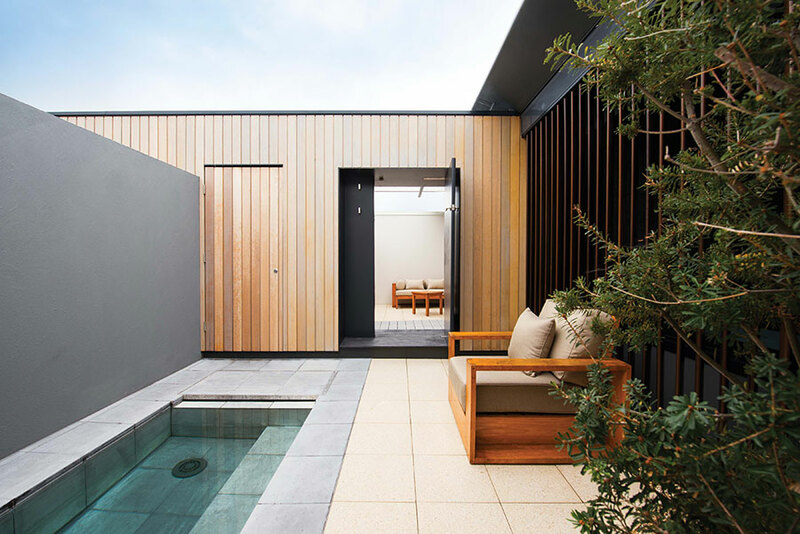 As the day draws to a close, retire to your pavilion, where you can explore your private in-room cellar and pop a complimentary bottle of Moorilla’s Vintage Sparkling. After breakfast, make your way to MACq 01. 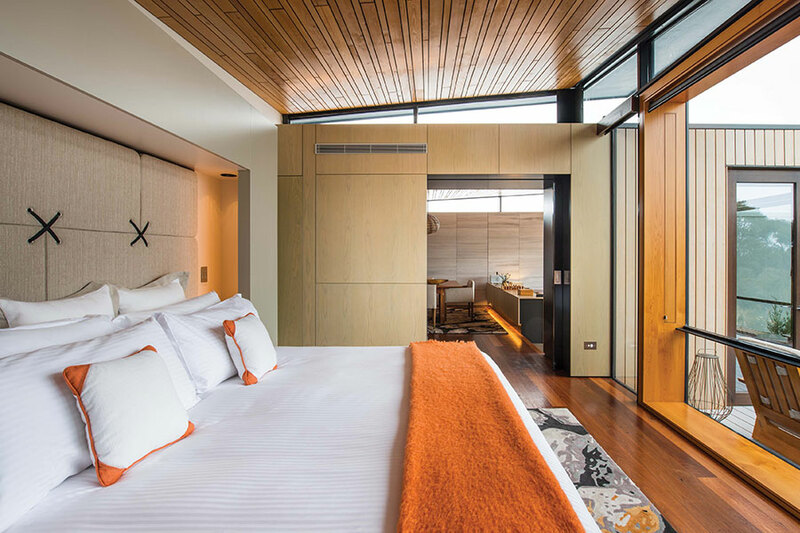 This luxury hotel truly reflects the quirkiness of Tasmania, with each room uniquely designed to tell the story of a real Tasmanian character. Spend some time exploring the property and learning about the history of this one-of-a-kind place; the hotel staff will be happy to guide you. Today, it’s time for an adventure in Tasmania’s famously beautiful wilderness! Over the next 4 days, you’ll discover Maria Island with the help of expert guides. 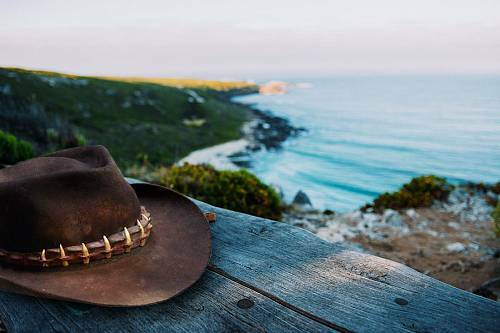 Explore a heritage listed convict settlement, walk empty white-sand beaches, view rare wildlife, and enjoy gourmet food. The Maria Island Walk is an active, but pampered, holiday experience, designed to let you experience the remoteness and tranquility of a wilderness experience in comfort. 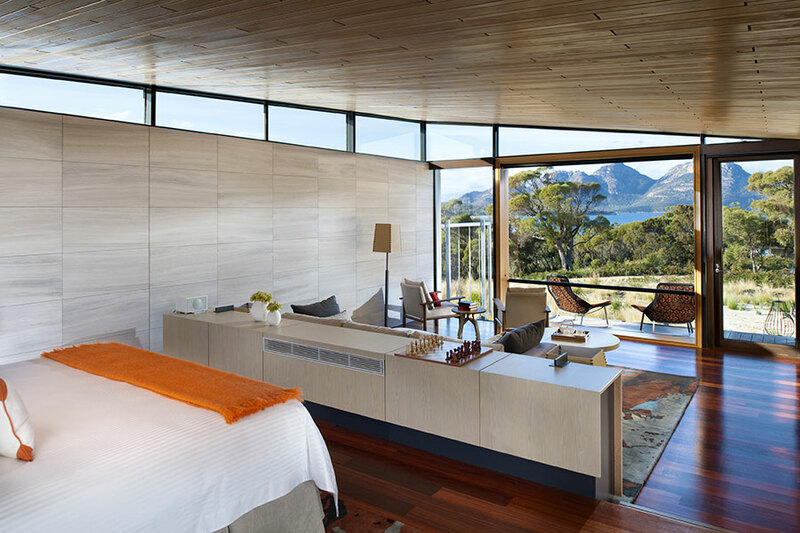 The packs are light, the food is gourmet, the wine is Tasmania’s best, and a comfortable bed awaits you each night. This morning, your driver will collect your things and transfer you to Triabunna. From here, travel by boat through the sparkling waters of Mercury Passage to the isthmus of Maria Island. You will set foot on a pristine, untouched beach, exactly as explorers did years earlier. Here, enjoy a lunch overlooking the crystal azure waters of Shoal Bay before taking a walk to the tranquil Casuarina Beach camp. In the afternoon, explore the trail through the tall eucalypt forest down to the spectacular Haunted Bay. This evening, after a fine Tasmanian gourmet dinner, stroll along the beach at sunset with a glass of wine, delighting in the day you’ve had and excited by what lies ahead. Wake up to the busy chattering of the wattle birds and, from the comfort of your bed, watch the morning sun sparkle through the forest. After a delicious breakfast, it’s time to start your journey along 5 beautiful beaches. Watch dolphins play in the surf and sea eagles soaring overhead as you walk past the carpet of exotic shells lining the water’s edge. By late afternoon, you arrive at White Gums camp for a refreshing swim. 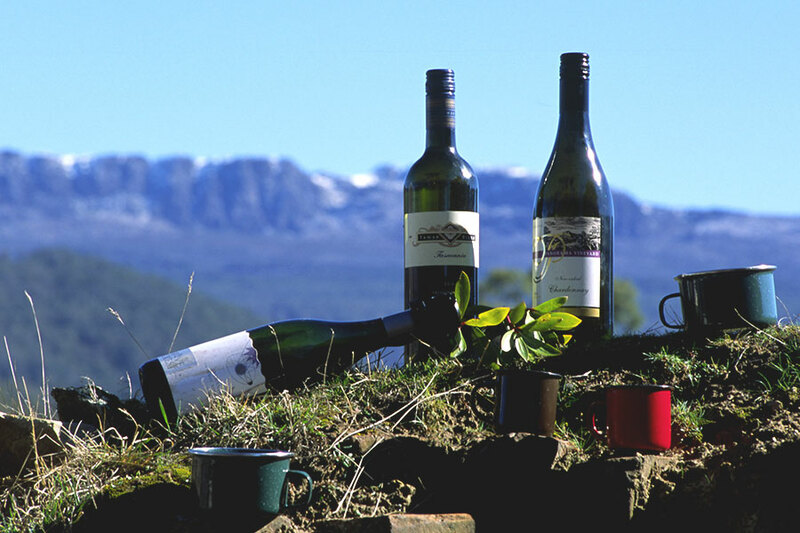 After the perfect day, you can relax with your fellow walkers, before enjoying a candlelit dinner of the finest Tasmanian food and wine. Can it get any better than this? Today, your Tasmanian walking guides will take you inland to the heart of the island to discover the rich greens of the grand forests. Wander through the world’s largest stand of giant Tasmanian blue gums. If you wish, you can climb the peaks of Mt Maria or Bishop and Clerk; it’s a 700-meter climb through rare and mystical “cloud forests.” As you can imagine, the views are simply breathtaking! This evening, you’ll arrive at Tasmanian’s fascinating, World Heritage-listed settlement of Darlington, where you’ll stay at an elegant colonial house and enjoy a final night banquet with fine wine and conversation. 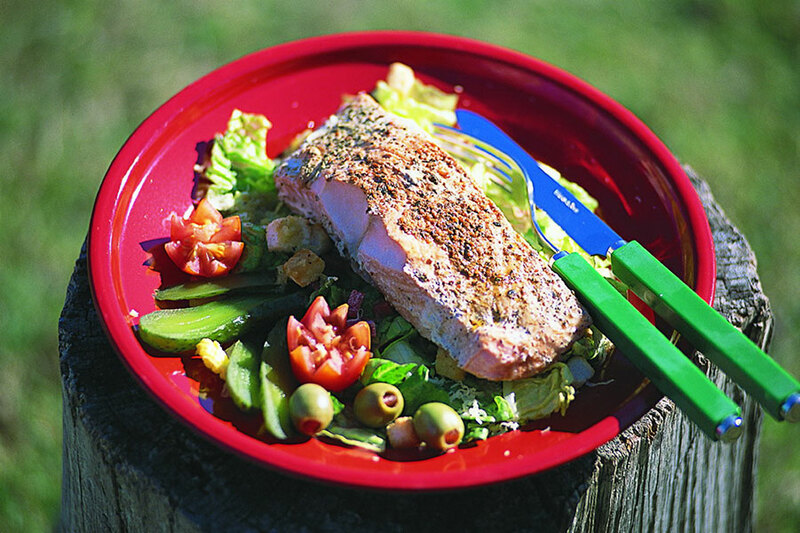 The final day of your Maria Island Walk begins with a delicious breakfast, followed by a walk around the island’s northern tip. The walk takes you through a variety of spectacular woodlands and forests with rare endemic birds, wallabies, and wombats on show. Continue on to the dramatic sea cliffs of Fossil Bay and then head down to the remarkable remains at Fossil Cliffs. Back at Darlington, enjoy a celebratory farewell lunch before boarding the boat back to mainland Tasmania. Spend another night at MACq 01 and rest up for tomorrow’s adventure! 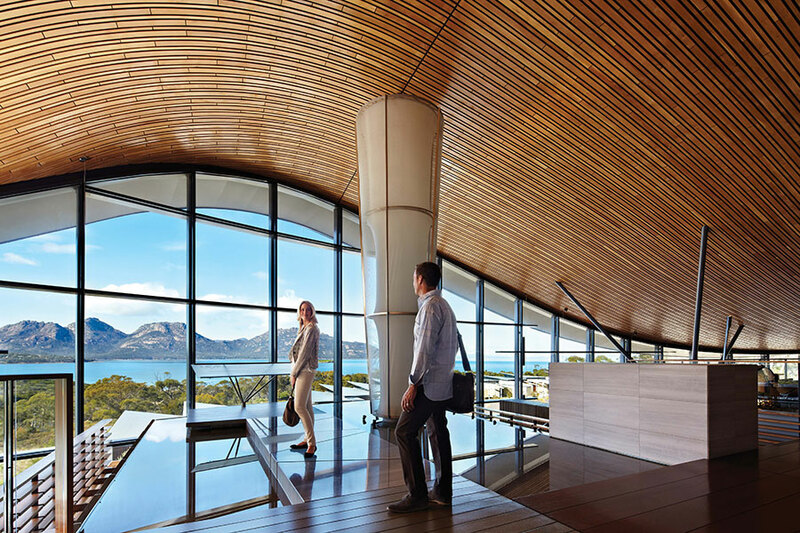 This morning, a private driver will pick you up from your hotel and transfer you to Saffire Freycinet, driving along the scenic east coast of Tasmania. 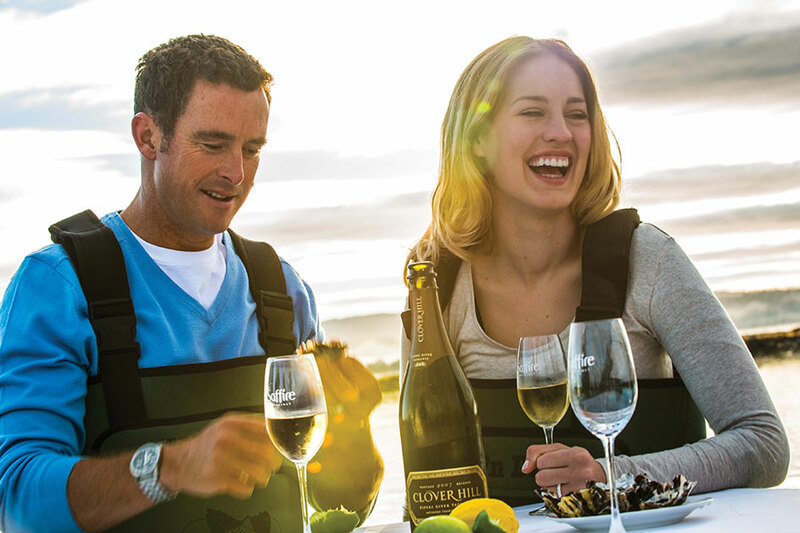 Saffire overlooks the wide expanses of Great Oyster Bay, where migrating whales and dolphins come to play. 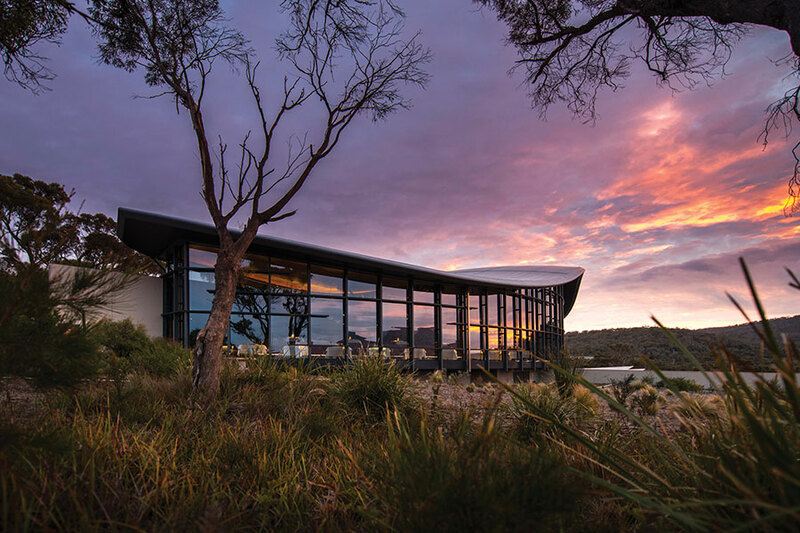 The dominant view from Saffire’s every window is the pink-hued granite of the Hazards Mountains, providing a spectacular and ever-changing backdrop from morning to nightfall. Enjoy amazing views, a generous relaxation area, and an eclectic mix of traditional and contemporary furnishings. 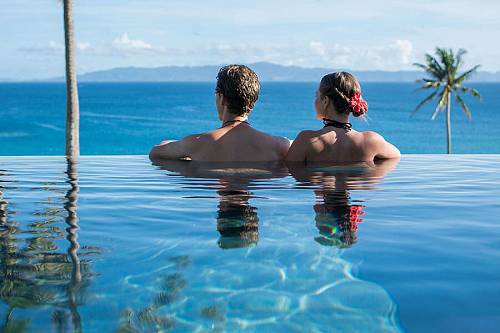 Today is yours to spend at leisure, doing as little or as much as you like. You won’t want to leave your luxurious lodge, yet your natural surroundings are just as magical. 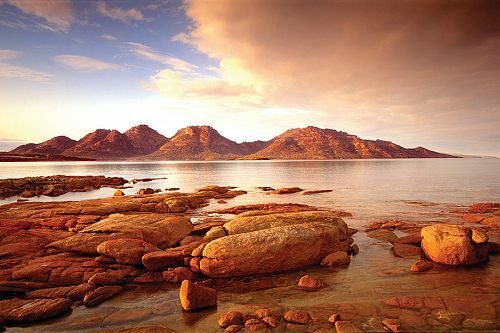 With the Freycinet National Park on the doorstep, there’s a world of deserted islands, wild bushland, and secluded beaches to explore. 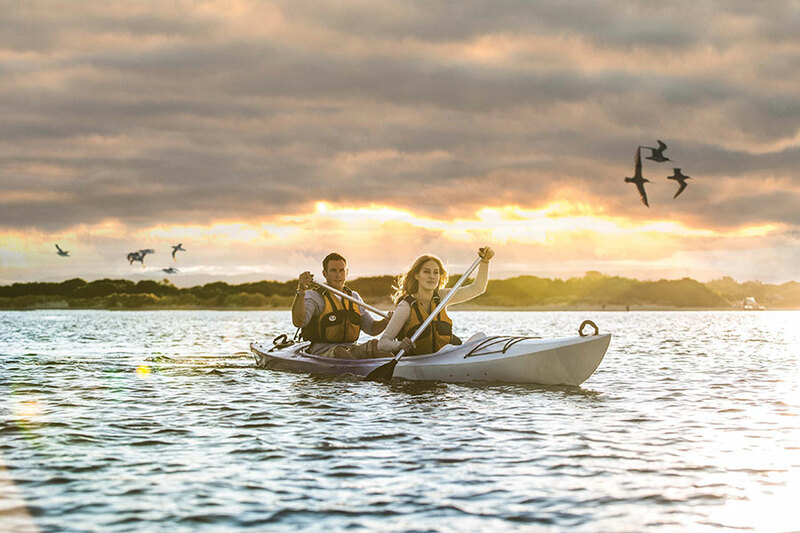 Hop on a quad bike or mountain bike to discover the rugged coastal scenery; wade into the bay to sample deliciously fresh oysters; indulge in a private beach picnic; encounter Tasmanian Devils in the wild; and much more. 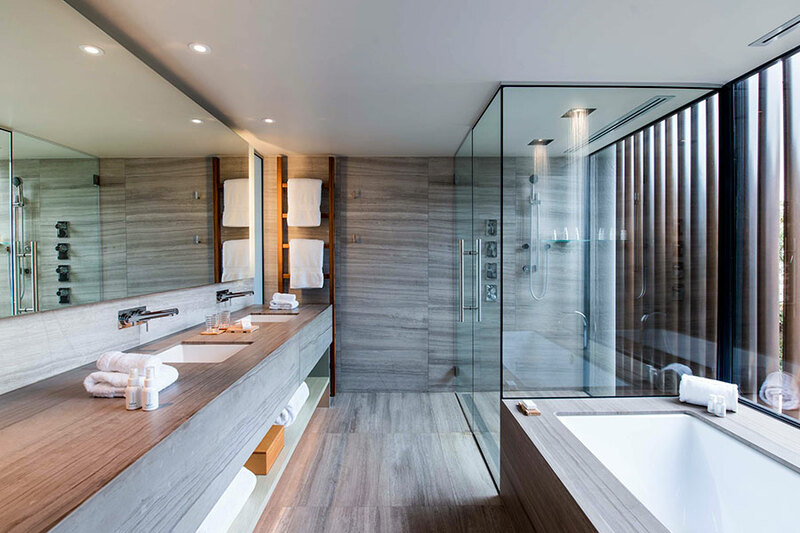 A spa credit of $100 is also included in your stay. This morning, your driver will transfer you to Launceston, the meeting point for another multi-day wilderness adventure! 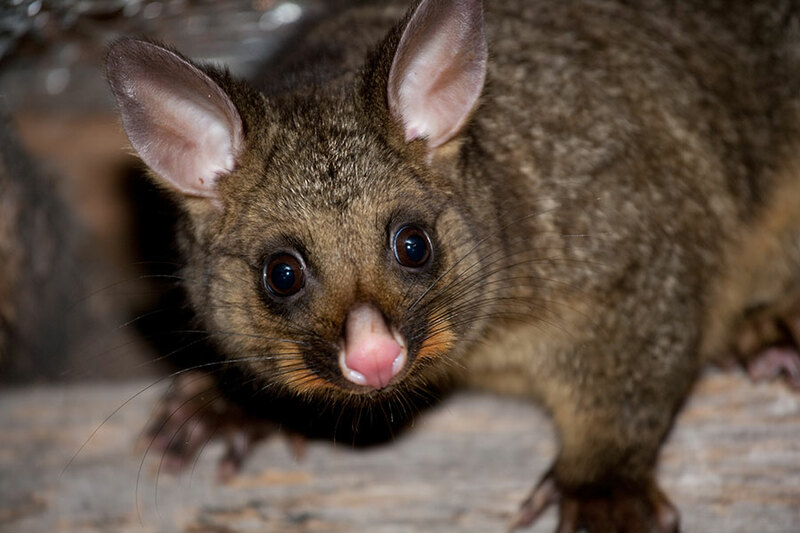 Your expert naturalist guide will pick you up in Launceston and set out on a wildlife tour in remote regions of Tasmania. Enjoy the quest to see the elusive platypus, and capture the timeless ambience of Tasmania’s bush. 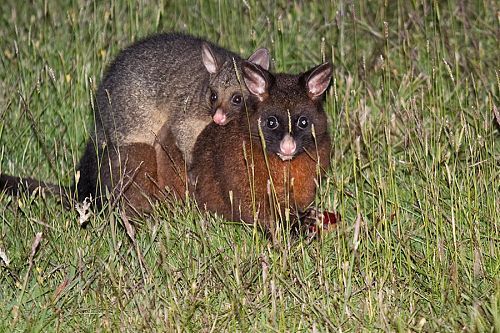 Enjoy a campfire dinner and a nocturnal walk in the forest to discover the brushtail and ringtail possums, pademelons, Bennett’s wallabies, bettongs, and more go about their nightly business. Spend the night at a cozy B&B that feels like a home away from home. 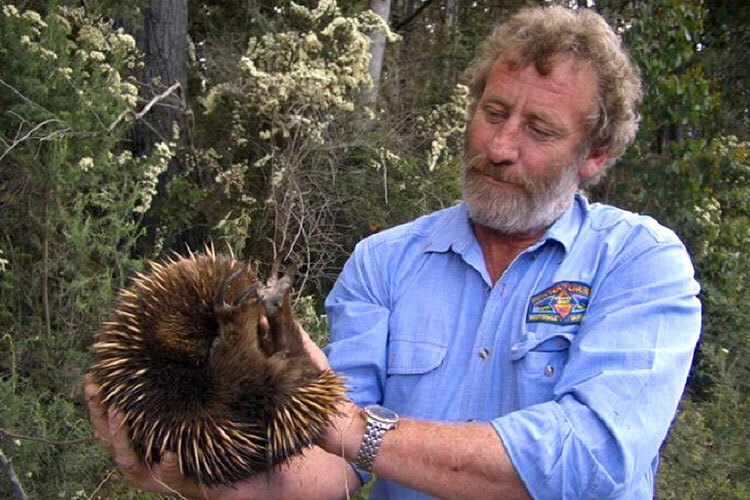 Spend another day in the Tasmanian wilderness to pursue the platypus and echidna (the only 2 egg-laying mammals, or monotremes, in the world)! Travel to the far northeast corner of Tasmania to the Mt William National Park. Take a stroll on stunning, white sand beaches in the Bay of Fires region, lunch with the Bennett’s wallabies, and see the resident wildlife in the area. The Forester kangaroo and the wombat are just a couple of the inhabitants who share this coastal national park with over 100 species of birdlife. 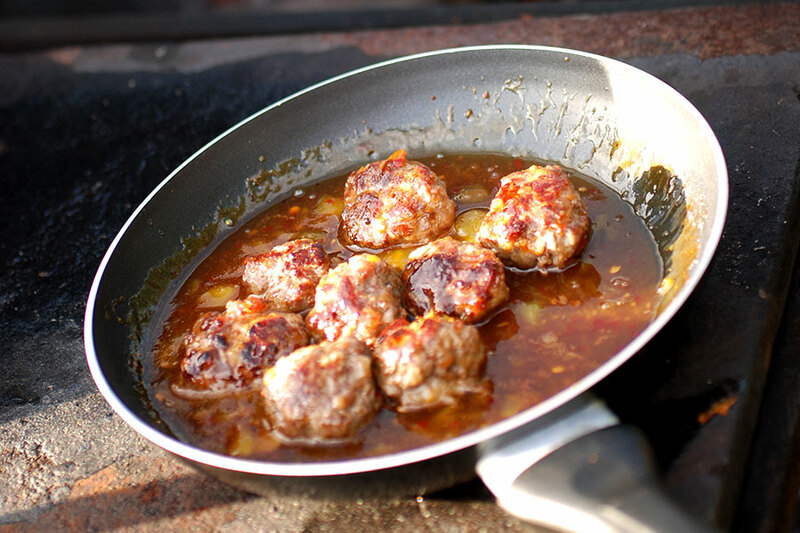 After the day’s adventures, retreat to the B&B for relaxation and a delicious dinner. 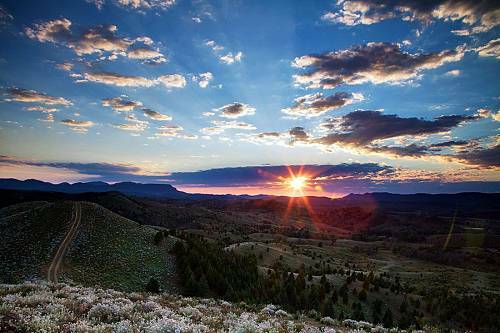 This morning, you’ll head to Ben Lomond National Park. Here, you’ll see fantastic pillar-shaped rock formations, slopes full of gorgeous alpine vegetation, and spectacular views over the ocean. After a picnic lunch, continue on to Evercreech Forest Reserve, where the tallest white gum trees in the world await! Find yourself walking amongst ancient, towering tree ferns and soak up the gorgeous surroundings. 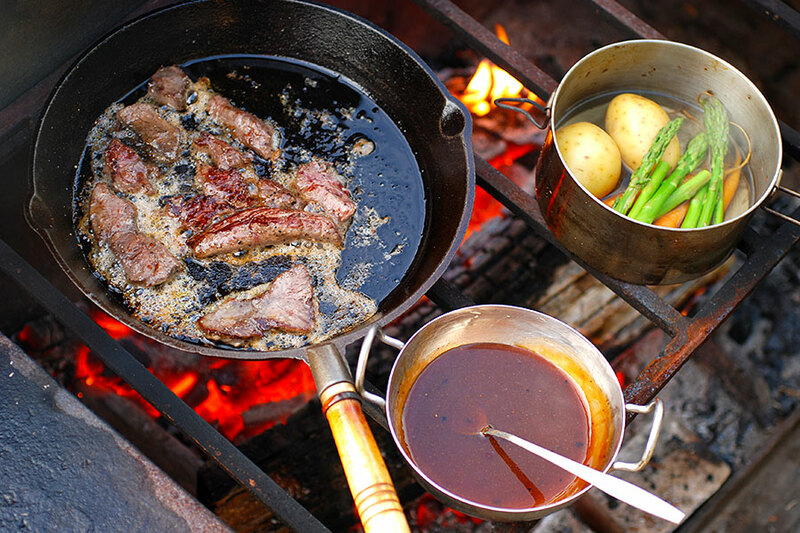 End the day by the campfire with some delicious bush tucker cuisine and a glass of local Tassie wine, and watch as the nocturnal wildlife wanders right up to your camp! This morning marks the end of your incredible Tasmania adventure. Your driver will pick you up and transfer you to the airport, where you’ll begin your journey home. Go off the beaten tourist track and discover remote, authentic Australia experiences. See highlights like the Great Ocean Road and the outback with a touch of exclusive luxury.